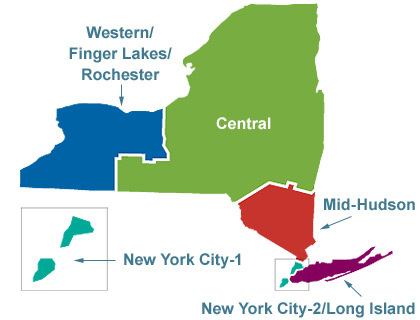 The Independent Sector confers more than 60% of the four-year and higher degrees awarded in education in New York State. New York's Independent Sector annually awards 52% of the bachelor's degrees, 71% of the master's and 79% of the doctoral and professional degrees. More than 70 independent colleges and universities in New York State prepare future teachers; many also prepare school leaders as well. The Independent Sector Faculty Development initiative is part of the state’s Race to the Top grant, made possible with NYSED-awarded federal ARRA funds. The Commission on Independent Colleges and Universities (cIcu) is providing statewide professional development opportunities and coordination for the project with local programming and activities across the state facilitated through five regional collaborations. This website will provide ongoing information, resources and communication tools to help faculty access information that addresses the changes in teacher and school leader certification, and teacher and principal performance evaluations; discusses data-driven instruction, and; provides updates on implementation of the Common Core standards and its impact on academic content preparation. Each of the five Regions has their own dedicated page on the site which is used for information of interest to regional members. We have revised the organization of the website in order to have all the Regional and Statewide resources available to you by topic.The site will be updated regularly and continue to evolve with added research, resources and professional development opportunities. Click on the Content Tab for information and resources to assist you. Check back often! There are currently no news articles, please check back later. Independent Sector's Faculty Development Project from cIcu - ISNetworkED on Vimeo.